Our Tax and Healthcare Sector Partner, Mark Sheen, has been recognised for his outstanding contribution to the University of Bolton and we are very proud of him. He kept it quiet for a few months, but now his secret is out! Congratulations Dr Mark, from all your colleagues at Barlow Andrews. “Mark Sheen (pictured above) served as member of the University’s Board of Governors, from 2000 to 2015. 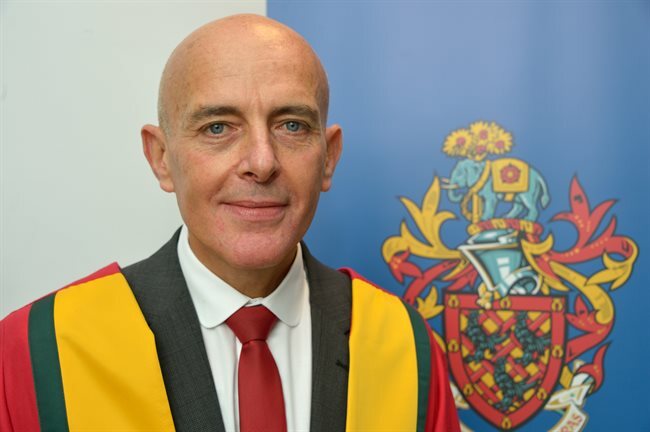 His service has been recognised with a Doctor of the University for his outstanding contribution to the University of Bolton. ‘I’m delighted and humbled to be recognised for the years of service that I have given to the University as a member of the board and a number of its committees,’ said Mark. ‘Over my years I have been fortunate to see a huge amount of change since joining the board of the Bolton Institute for Higher Education in 2000. We fought hard for the award of the University title and in more recent years there have been significant developments both in the quality of the teaching and the facilities that are now in use. ‘What has not changed however is that this is a place which offers opportunities to all.